We manufacture and export Decade Inductance Boxes. 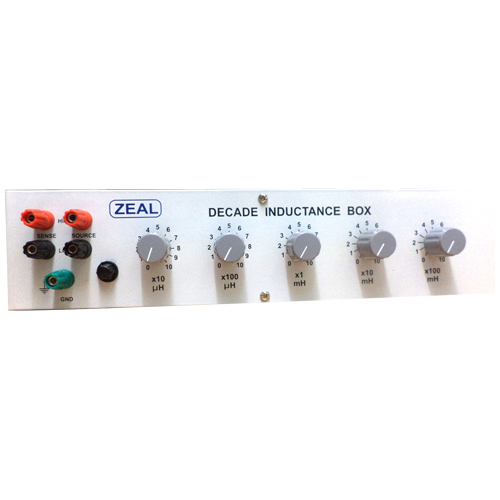 These Decade Inductance Boxes allow quick and easy setting of a wide range of Inductance. Selection of Decade switches has been done with best contacts and less residual inductance. Decade Inductance Box is designed to calibrate Inductance Meters and Inductance ranges of LCR meters.